Currently, the club is in very exciting form in all competitions across Europe. From the very deadly attacking trio of Mohamed Salah, Roberto Firmino and Sadio Mane; to a robust mid-fielder in Fabinho, a top-notch defender in Virgil Van Dijk; and Alisson in between the sticks- it is quite clear that Liverpool does not lack world-class players backing them. Ever since Jurgen Klopp arrived, Liverpool has not seen any departures in terms of their main players except for Philippe Coutinho and this is responsible for their team achieving such balance. The playing style has developed heaps and bounds and players are no longer afraid to decline bigger clubs to stick in Anfield. However, despite such seemingly incredulous talent, the squad still lacks depth. Due to the same, the following is a list of players that Liverpool should not miss out on in the summer. 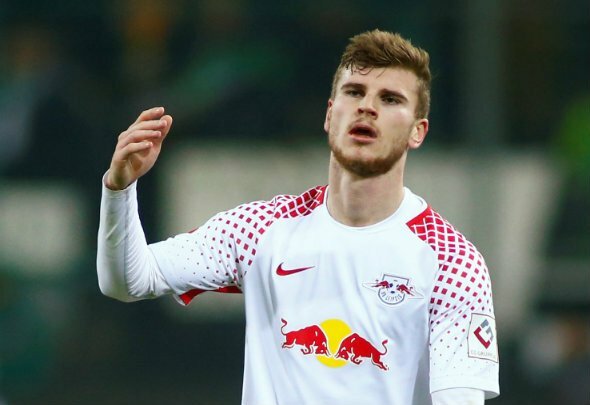 The German international of only 22 years of age is definitely one of the prime targets for Liverpool in the upcoming transfer window. However, he has been warned by boss Ralf Rangnick against leaving the club. With Red Bull Leipzig he has managed to score 11 goals out of 21 Bundesliga games in which he appeared for the club this season. This statistic implies that he has netted one in every 156 minutes. The German has a very versatile playing style wherein he can adapt to playing on the right, left, or central attacking position. Moreover, he is a perfect fit for the counter-attacking style of football that Liverpool currently plays. The Moroccan international currently plays for Ajax Amsterdam as an attacking midfielder. Ever since Philippe Coutinho departed from the club, Liverpool has been in desperate need of a midfielder who is creative and can play the ball through the opponent. The club does have Naby Keita, but they still need more depth in their squad if they are to ensure that injuries do not bring them down. At the moment, Ziyech would be very suitable for Liverpool and they would also be able to sign him without breaking the bank. However, looking at the current and past form of Liverpool’s deadly attacking trio, one could argue that they are enough for Liverpool. Their form has made bookmakers hold heavily in their favour in their upcoming game against Tottenham Hotspur. One can avail free bet offers and place a bet on Liverpool to win the match, with odds in their favour at 8/13, 63/100 and 6/10 with Bet365, William Hill and Betfair respectively. Football betting is one of the best ways around to get in on the action and to make a bit of extra cash on the side. Not only is it one of the rare forms of gambling that is as much about strategic betting and in-depth knowledge of the subject – think the rules of the game, of the players and of the teams – as it is about dumb luck. In these days of easily accessibly online bookies and betting sites, it’s also never been easier to take up sports betting and it can be enjoyed with even the smallest of investments from you. Tah is another German international who currently plays for Bundesliga club Bayer Leverkusen. Prior to moving to Bayer, the center back plied his trade at Haburger SV where he made his debut. He debuted for his country at the only 20 years of age. His dribbling style and short passes has made him a very robust centre back. Tah has averaged 1.4 interceptions, 1.4 tackles, 0.8 blocks and 4.6 clearances per game in this Bundesliga season where he has played a total of 22 matches. Liverpool currently has a very strong centre back in Van Dijk, but they need a second one in support, especially considering how injury-prone Joe Gomez is.